If you love chocolate, then Paris is an excellent place to be, because some of the world’s best chocolatiers reside here. In every single neighborhood, you’ll find chocolate shops, like treasure troves of chocolatey goodness. 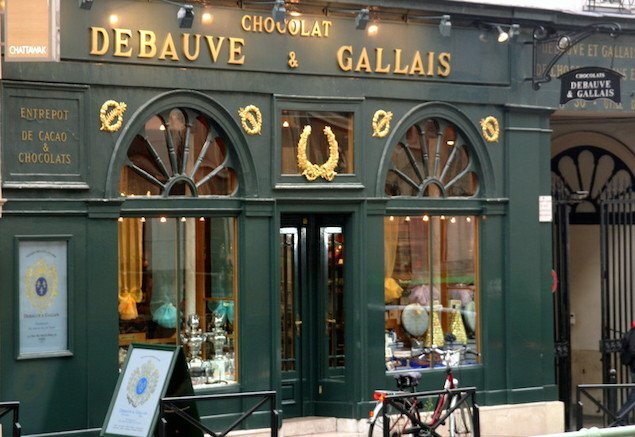 To make sure you get a full overview of the Parisian chocolate scene, hire an expert guide. Context Travel offers a variety of truly unique guided tours, from architectural themes to wine, cheese and fashion. 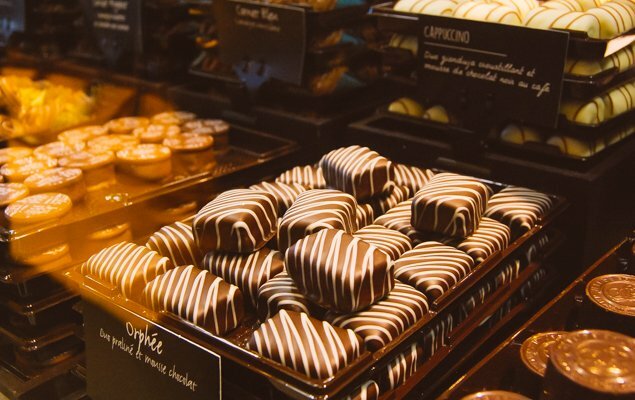 Their Chocolate Tour is obviously one of their highlights, since you get to learn about the history and culture of chocolate, but also taste lots of it! 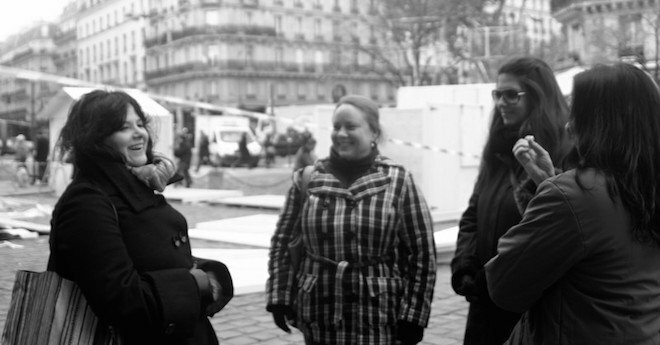 The Paris Made Perfect team got together to try out this Chocolate Tour, so continue reading to get a feel for the experience. 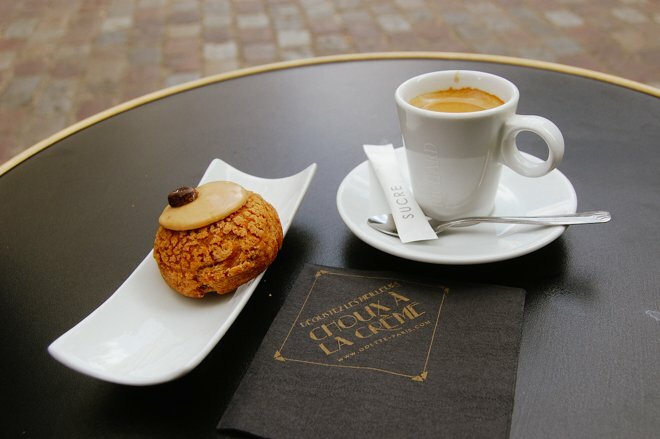 Perhaps this is an activity you’ll want to add to your own Paris itinerary! 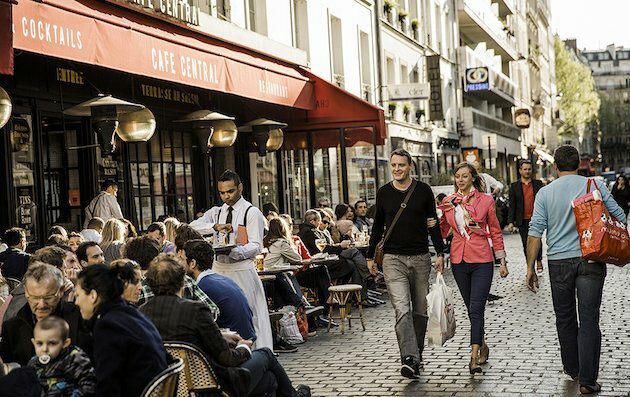 The tour started in the lively Saint-Germain-des-Près neighborhood. Our guide, Alisa, told us a little about herself. She is a pastry chef living and working in Paris, and has written 3 cookbooks – Sounds like she knows what she’s talking about! She started by giving us a brief history of how chocolate came to Europe and then to France, which set the stage nicely for the rest of the tour. In total, we visited about 6 different chocolate shops including classics like Ladurée that most travelers are already somewhat familiar with, but also brands you will have never heard of, unless of course you’re a pastry chef living in Paris. Our Guide Alisa knew this neighborhood and these chocolate shops like the back of her hand. 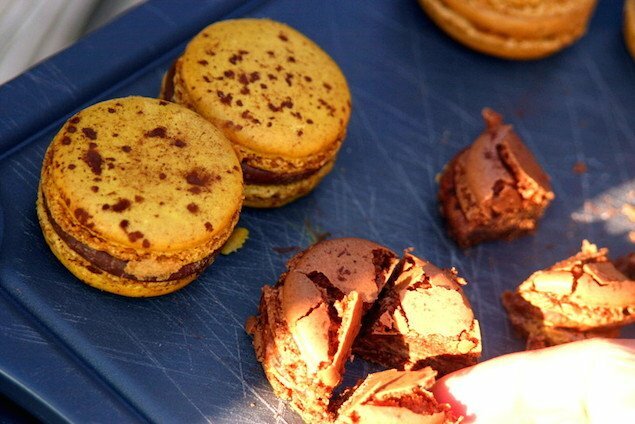 Throughout the tour, we sampled chocolate in various forms: discs, ganache, macarons, pralines and truffles. One shop even had chocolate sculptures in the window. Alisa was able to tell us the differences between all these forms of chocolate, and she knew just which samples to ask for at each shop that made the tasting experience extra special. She even gave recommendations for what to buy, since each shop had a particular specialty. 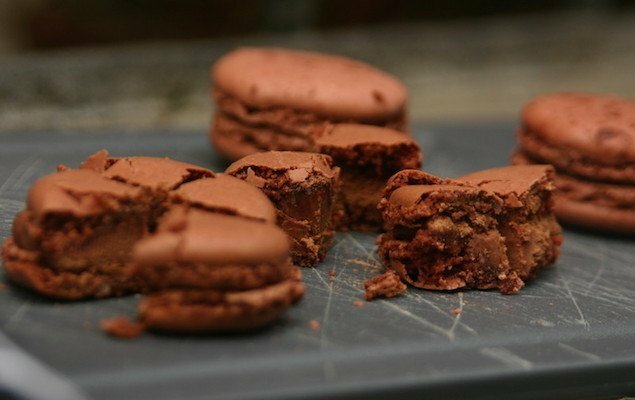 You’ll probably be happy to know that this tour also covers the history and evolution of the macaron, those airy little colorful confections that we all swoon over. The chocolate tour went on for a delightful two and a half hours – two and a half hours of pure indulgence! 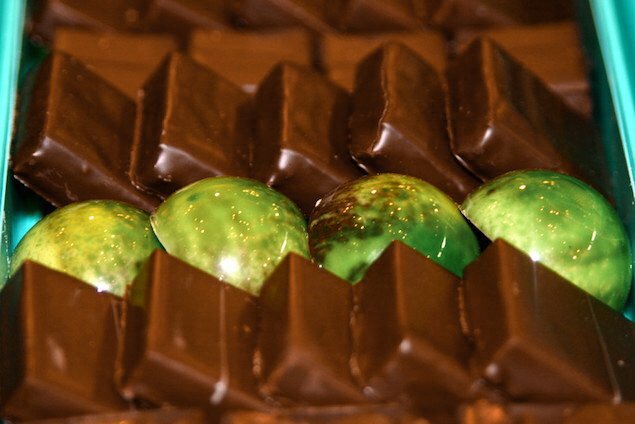 PREVIOUS: Get Your Chocolate Fix at the Salon du Chocolat – On Now! Posted on Saturday, October 31st, 2015 at 7:04 pm in Paris Tours & Services. You can follow any responses to this entry through the RSS 2.0 feed. You can leave a response, or trackback from your own site.